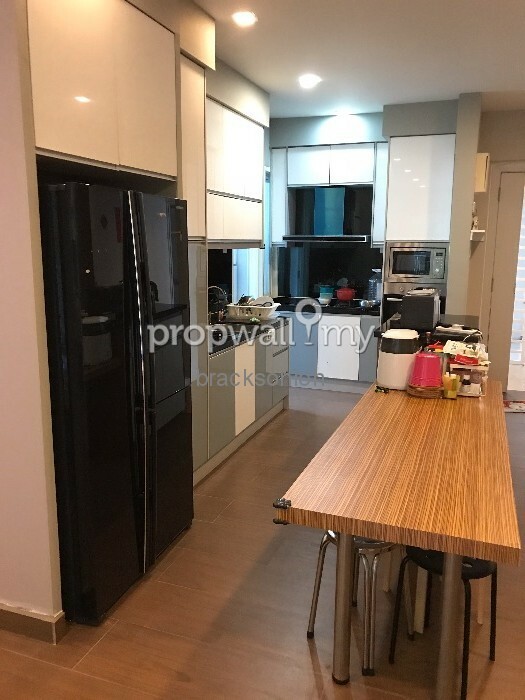 3 Residen (also known as 3 Residence) is a block of 2 condominium towers located on a 3.3 acre piece of land in the Melawati area. Developed by Negara Properties, it has excellent views of the limestone hills and is served by a direct turn-off from the MRR2 highway. Location for 3 Residen is key, and Negara Properties certainly has the know how as they actually were the ones who pretty much built up Taman Melawati from the ground up in the 70's and 80's. As a result, their technical ability and creativity has meant that this development is at the foothill of greenery and the limestone hills that Melawati is renowned for. As mentioned above, 3 Residen consists of 2 condominium towers – one of which is a mid-rise tower, and the other is a lower-rise tower. A large part of the 3.3 acres is taken up by the ground level facilities and parking. 3 seems to be the magic number here, as the towers have 3 small wings that have 2 adjoining units, meaning that there are 6 units per floor. There are 3 different types of units available, with built-up areas of 1,098 sf, 1,206 sf, and 1,389 sf. The design of these units are like semi-D style units. The largest type (Type A) is a 3+1 room unit, while the other units have only 3 rooms. Although there are 3 or 3+1 rooms, each unit has a special area that can be created to be a family room or an AV room. All units have 2 bathrooms. There is also a large foyer where you can put your shoe cabinets and other items. The yard is also quite decent sized. All of the units also come with a/c ledges and a balcony. In terms of the penthouse suites, there are 2 different types. However, both are 1.5-storey duplexes which includes a jacuzzi and a sala (Thai-style open pavilion). The penthouses have a built-up area ranging from 1,938 to 2,174 sf. One interesting feature of 3 Residen is that there are foldable wall panels, so one can instantly create extra space. Another unique feature are the views. Every unit in this building allows its owners to unwind whilst looking at the spectacular KLCC skyline, or the relaxing greenery of Bukit Tabur. Facilities at 3 Residen include a swimming pool, wading pool, changing rooms, a poolside cafe, landscaped garden, children's playground, nursery, multi-purpose hall, gym, convenience store, and broadband (at selected areas). Outdoor living seems to be the main goal in the common area, as there is even a landscaped pool deck complete with a pergola. As mentioned above, the main highway that services 3 Residen is the MRR2. Opposite the condominium block (over the highway) are shop lots that have been developed by Platinum Victory. Other shopping facilities nearby are Alpha Angle, Giant, and Carrefour. There are several educational institutions nearby including Sri Inai, KL International School, International Islamic University, UTAR, and the Malaysian Institute of Arts (MIA). On paper, 3 Residen seems like a great place to invest in. It is being built by a reputable developer who knows the area, the units provide family friendly living, and there are many good facilities available here. 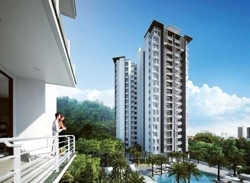 In addition, each unit has great views of either the KL city landscape or Bukit Tabur. 3 Residen is also about 15 minutes drive away to the KL city centre via the Ampang Elevated Highway, MRR2, DUKE Highway, North-South Highway, and Karak Highway. Alternatively if you want to catch public transport, it is 5 minutes drive to both the Wangsa Maju and Taman Melati LRT stations. 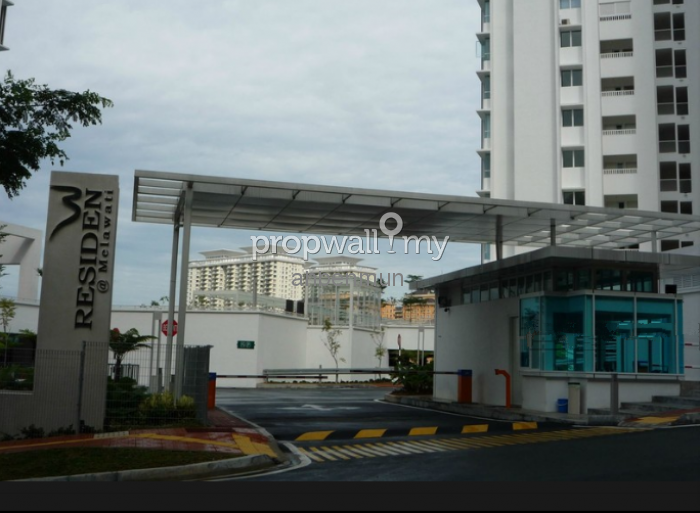 3 Residen is also close by to Wangsa Maju's and Melawati's commercial areas, Carrefour, Giant, and Jaya Jusco. There are also several good educational institutions such as international schools and universities. Furthermore, some property investors have been saying that Melawati is going to be the next big growth area, spurting off from the KLCC / Ampang areas. However, some have been waiting for a few years for this to happen. As more and more developers come to the fore to develop the Melawati area further, it can only mean good things. So what's the downside? The only downside is that it is quite close to the MRR2 which may be a turn off for some.